These free eBooks provide practical advice on collecting and evaluating performance data, conducting the appraisal meetings, completing the final appraisal reports and developing competencies. Download these free eBooks, checklists and templates for your PC, Mac, laptop, tablet, Kindle, eBook reader or Smartphone. Choose from our comprehensive selection of free resources on the subject of HR. This eBook explains the principles behind performance management and describes each stage of the appraisal process. This eBook describes how to collect, evaluate and record comprehensive high-quality performance data during the appraisal cycle. This eBook gives you practical advice on how to prepare for and conduct a productive and stress free appraisal meeting. This eBook explains how to develop the competencies of your team member and add value to the whole organization. Browse through our extensive list of free resources to help you with performance reviews. 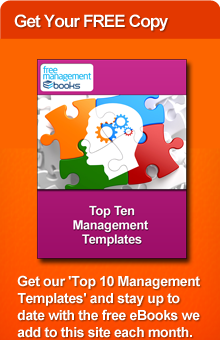 Select from our wide range of free performance management resources. This checklist will help you to gather performance data throughout the year from a variety of sources. This checklist outlines eight basic steps you need to complete so that you are properly prepared for your team's appraisal meetings. This checklist outlines the steps you need to take to conduct a successful appraisal meeting with a team member.